Encourage kids to spend less time in front of a screen and more time in the great outdoors with a kid-friendly landscape. And with the help of a professional, you can achieve a fun landscape that is also sophisticated in style. A thoughtful design can creatively integrate style with functionality that’s fun! 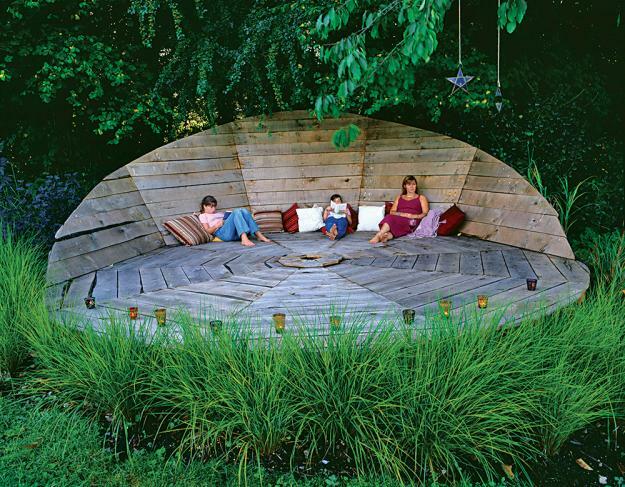 Here are some fantastic kid-centric landscape design ideas. 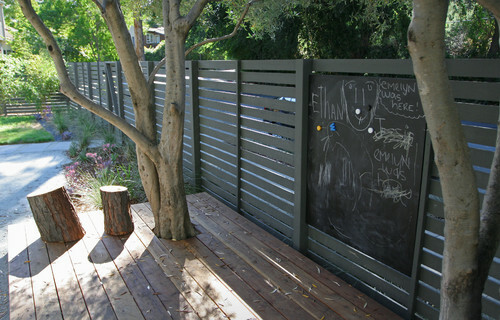 Most kids love to draw, and you can provide a space just for that outdoors with a custom backyard fence design that includes a chalkboard paint wall. It’s a no-mess, no-stress solution for uninhibited creativity. This unique and versatile deck serves as a stage for kids to perform on while also making a great lounge area that adds chic interest to the landscape. A playhouse gives kids a space where they can let their imaginations run free. Clever playhouse designs like this hobbit house can blend with the rest of the landscape, pleasing both kids and parents. Having a tree house is a childhood dream we can all relate to. 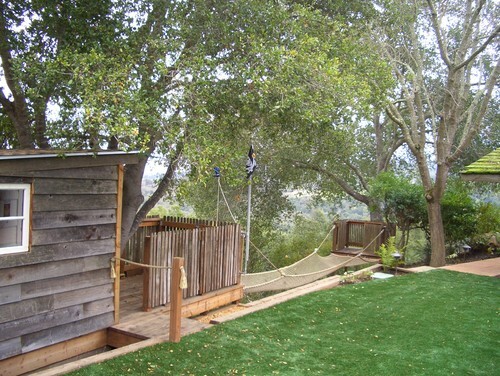 A tree house can be custom designed by landscape professionals to complement the home exterior and landscape while achieving a cool design with exciting features like a zip line or a slide. 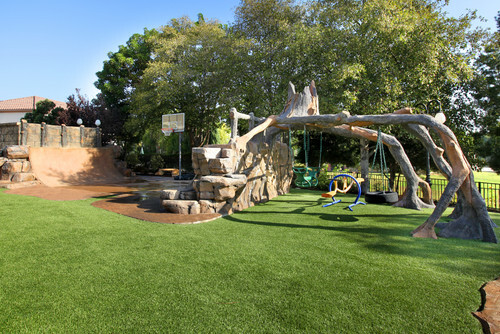 To avoid play areas from clashing with the remaining landscape, playgrounds can be custom designed to look natural and blend beautifully with the natural surroundins. In this example, a magnificent tree trunk playground was designed to appear as if it was gracefully growing out of the ground. Another great strategy is to incorporate terraced gardens into playgrounds to create a lush and seamless look that blends in harmoniously. 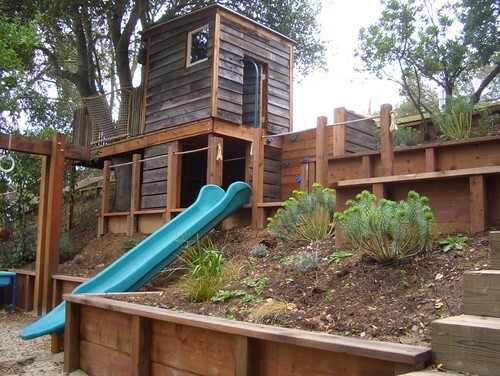 Using the same type of wood for the garden retaining wall as the play structures creates a seamless look. 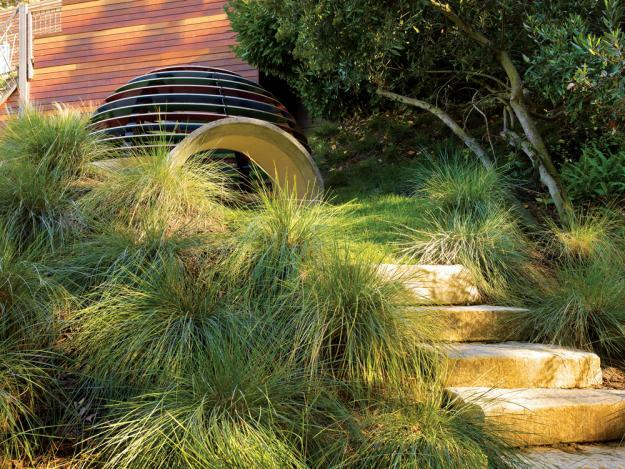 Rustic Landscape by Menlo Park Landscape Architects & Designers Keith Willig Landscape Services, Inc. If you are interested in putting the fun in a functional, kid-friendly landscape or any other improvements to your landscape or outdoor living spaces, contact Lifescape Colorado to learn about our professional landscape design services.